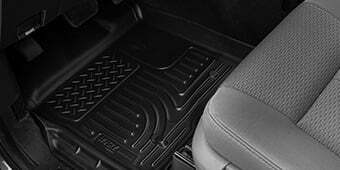 Lift: Front - 4.5 in., Rear - 2 in. 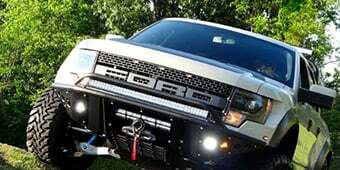 Upgrade Your Truck. 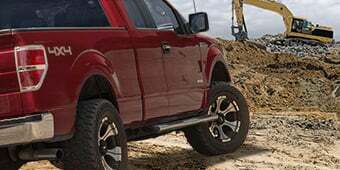 If you are tired of the suspension kit on your 2015-2019 F-150, now is the time to explore your other options and to consider the MaxTrac 4.5 in. Front / 2 in. Rear Suspension Lift Kit w/ Shocks. This kit will provide you with a hefty 4.5 inches of lift in the front of your truck and 2 inches of lift in the rear of your truck. 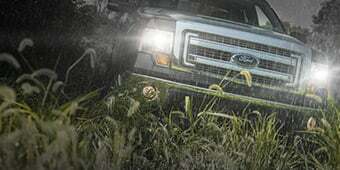 You will be able to obtain that aggressive look you want without having to make too many modifications to your truck. If you are after a classic look, you can maintain it with this kit as well. This kit does accommodate tires up to 33 inches tall. You could easily use this kit on your daily driver to provide you with some lift or you could use it on your weekend off roader to take it out for a spin. The MaxTrac 4.5 in. Front / 2 in. Rear Suspension Lift Kit w/ Shocks is one of the better kits on the market. Shocks Your Way. When it comes down to the shocks on your truck, they are important. 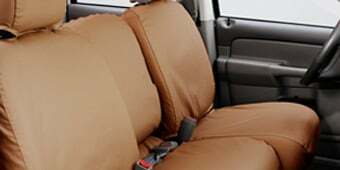 After all, they help to keep your ride comfortable and once misstep or bump can become a horrible time inside of your cabin. Since we know how important it is for you to have quality shocks, the MaxTrac 4.5 in. Front / 2 in. Rear Suspension Lift Kit w/ Shocks allows you to pick the right ones to meet your needs. 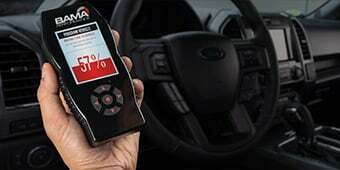 You can choose from top names in the industry such as Fox and Bilstein, as well as MaxTrac. All Hardware Included. When you are ready to install your new MaxTrac 4.5 in. Front / 2 in. Rear Suspension Lift Kit w/ Shocks, you will be happy to know that all of the hardware comes with the kit. You will only need a couple of hand tools and nothing more. This kit is not difficult to install, but it will take an entire day for you to install it. It is recommended that you have some mechanical experience to install. All of the parts in the MaxTrac 4.5 in. Front / 2 in. Rear Suspension Lift Kit w/ Shocks are made to OE standards to ensure they fit your control arms and wheel hubs. Lifetime Warranty. With the knowledge that performance quality and a durable suspension are both high priorities, MaxTrac backs their entire line of suspension parts with a Limited Lifetime Warranty. Some exclusions apply, please see manufacturer warranty for full details. Application. This MaxTrac 4.5 in. Front / 2 in. Rear Suspension Lift Kit with Shocks is specifically designed to fit on all 2015 to 2019 F-150s equipped with two-wheel drive (2WD). Please choose your preferred shocks from the options above. Technical Note. 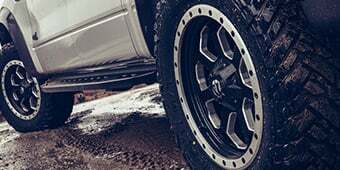 The Lift Kit is compatible to be used with a minimum 17x8 wheel with a maximum backspacing of 5.75 inches. Some trimming may be required to achieve optimal fender well clearance. Unfortunately, this kit will not clear the 295/70/18 tires due to them being 34"s and this kit would only clear 33s. We would recommend at least a 5" lift kit. Doing this lift will make your truck level or very close to being level! How is the front lifted? It does not show strut spacers. 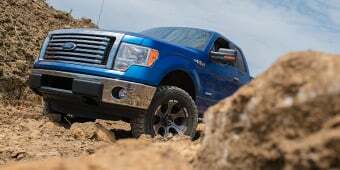 The lifted spindles provide the lift in the front of the F-150. Will the stock 20 in. Lariat rims fit with this lift kit? The Max Trac Suspension Lift Kit will fit the stock 20" lariat wheels, however due to the offset of stock wheels, you may not be able to fit some of the larger tires this kit can clear. With this kit does the angle of the upper control arms change drastically with this kit? I did look at the pictures and it looks and sits great. Are there any pictures of the kit with a close view of the front suspension. 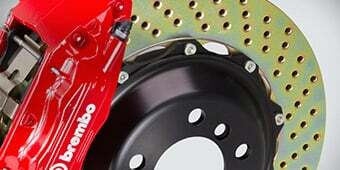 The Max Trac Suspension Lift Kit will have a minor change in control arm angle, however it is minimal. We do not have any close ups of an installed kit at this time. The Max Trac 4.5 in. Front / 2 in. Rear Suspension Lift Kit w/ Shocks would work with the OEM front shocks yes. The Max Trac 4.5 in. Front, 2 in. 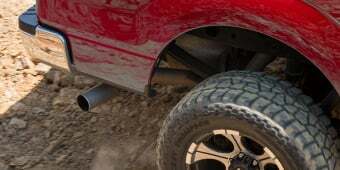 Rear Suspension Lift Kit can be run with the factory Raptor wheels, however with certain larger tire sizes, spacers may be required as the offset on the OEM Raptor wheels may not provide enough clearance, depending on your tire size of choice. The Max Trac 4.5 in. Front, 2 in. Rear Suspension Lift Kit may not be compatible with your leveling kit, as most leveling kits cannot stack with this lift kit. This lift would only provide enough clearance for a 33" tire. This tire here would be considered a 35" and would require custom fabrication to make this size fit with our rubbing. Since this is a 4.5" lift in the front, 35's would be able to clear. The 2" lift in the rear will have a tighter fitment as the 35's may not be able to fit without rubbing. I would suggest 33" tires with this lift. With the Max Trac 4.5 in. Front / 2 in. Rear Suspension Lift Kit w/ Shocks (15-16 2WD) installed, you can run up to a 33" tire and is recommend a minimum of a 17x8 inch wheel. Some trimming may be require to the fender to obtain fender clearance. You will not need to trim the frame. Great kit sits perfect, no lean.. rides and looks great.